News AR & VR MeetUp coming soon! You are interested in AR & VR? 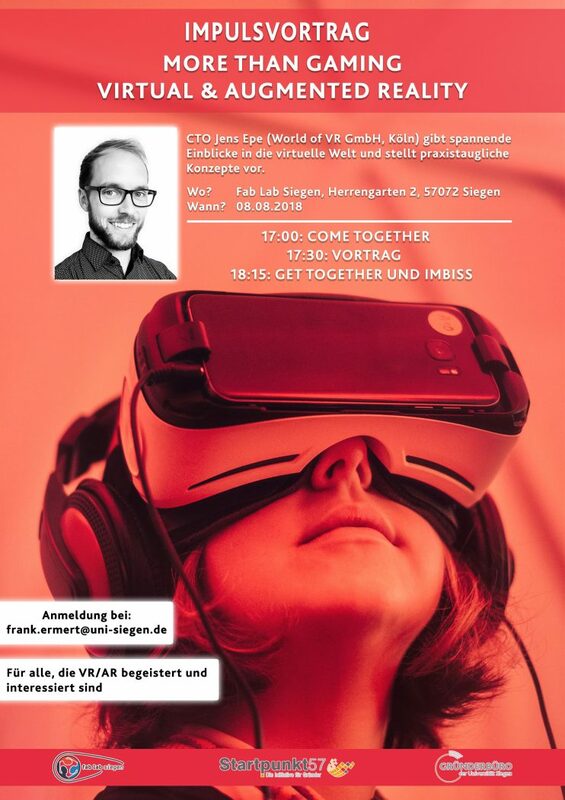 Then you’re invited to a MeetUp with Jens Epe (CTO of World of VR, Cologne). He will give a short talk on “More than gaming – Virtual & Augmented Reality”. After that a get-together with some food is planned, where new business models and possibilities resulting from AR and VR will be discussed. If you want to join this event, please register informally by mail at Mr. Ermert (frank [dot] ermert [at] uni-siegen [dot] de).